Adaptive Insights, the leader in cloud corporate performance management (CPM), today announced innovations to the Adaptive Suite that bring unprecedented power and flexibility to the financial planning and analysis (FP&A) process. Providing access to data across the business, the latest release of the Adaptive Suite enables finance teams to seamlessly bring together disparate data sources for new business insights, accelerating data-driven decision-making and improving overall business agility. The new release delivers a number of firsts to the cloud CPM industry including self-service data integration for finance; new patent-pending data visualization in the planning process for any-time trend analysis; and the ability to conduct in-depth visual analytics during planning with a single click. CFOs report that they face significant challenges in terms of the accuracy and timeliness of data, as well as the data silos that exist across the organization. Traditionally, data integration is considered to be one of the most complex and costly processes associated with software deployment. In addition to breaking down data silos and joining data from disparate sources, this release brings together planning and analytics into a single seamless process. This gives users the ability to gain a level of visibility and foresight via a self-service model previously not possible. The new features represent critical milestones on the path to enabling pervasive analytics—a capability that embeds analytics into the operational and transactional applications needed to run the business. The solution brings data easily within reach of business users while also enabling them to work the way they want to work: with convenient visualizations when and where they need them and a familiar Excel user interface. Self-Service Data Integration for Finance — Adaptive Insights has extended its Adaptive Integration platform across the entire Adaptive Suite including Adaptive Planning, Consolidation and Discovery. As the first CPM provider that delivers a self-service data integration platform, Adaptive Insights enables finance users to extract data from popular ERP and CRM systems—like Intacct, Microsoft Dynamics GP, and Salesforce.com, with an easy “click-not-code” web interface —and use it in any Adaptive Insights application. Building on its out-of-the-box solution with NetSuite, a new preconfigured NetSuite adapter is now available that further extends the integration so users can bring more types of NetSuite data—such as project, employee and vendor data—into the Adaptive Suite to drive planning and analytics. With all adapters, users are able to join together data from multiple source to create a new view of the data for greater business insights. By extending the platform across the suite, users can engage in much deeper analytics and visualization of their data throughout the financial planning and analysis process. Anytime Trend Analysis — Via a new Active Sparklines feature, trend analysis is now combined with data entry. Sparklines, are small, word-size charts that show data trends. With the introduction of visual data editing, sparklines in the Adaptive Suite are now interactive. Planners zoom in to Active Sparklines to reveal trend details. If the metric in question is editable, planners can adjust the underlying data by dragging the data points of the Active Sparkline until the desired trend is achieved. Single-click Analytics — Users can create powerful data visualizations directly in the planning process with a single click on selected data in an Adaptive Planning ‘sheet.’ These visualizations can be easily augmented for variance analysis, shared, and even published on dashboards with a single click. Flexibility to Work in Excel — Augmenting Adaptive Insights’ already rich Excel-based reporting capabilities, the release adds new flexibility that enables users to view their plans and perform data entry in Excel. This combination leverages the familiarity and flexibility of Excel with the power of Adaptive Insights’ cloud-based collaborative financial planning application. While using the Excel interface, users can still access the power of the web-based interface seamlessly by drilling into details in the cloud. Adaptive Suite 2016.2 is available now and will be shown at Adaptive Live, being held April 27-28 at the San Jose Convention Center, where 1400+ finance professionals will gather for insights, training and networking. Adaptive Insights is the leader in cloud corporate performance management (CPM). Via its software as a service (SaaS) platform, the company offers capabilities for budgeting, forecasting, reporting, consolidation, dashboards, and analytics that empower finance, sales, and other business leaders with insight to drive true competitive advantage. The Adaptive Suite is sold direct or is available through Adaptive Insights’ robust cloud CPM channel ecosystem of 200+ partners, including Accenture, Armanino, BDO, Cohn Reznick, Intacct, KPMG, McGladrey, Plex Systems, and Workday. NetSuite also offers Adaptive Planning as its NetSuite Financial Planning Module. 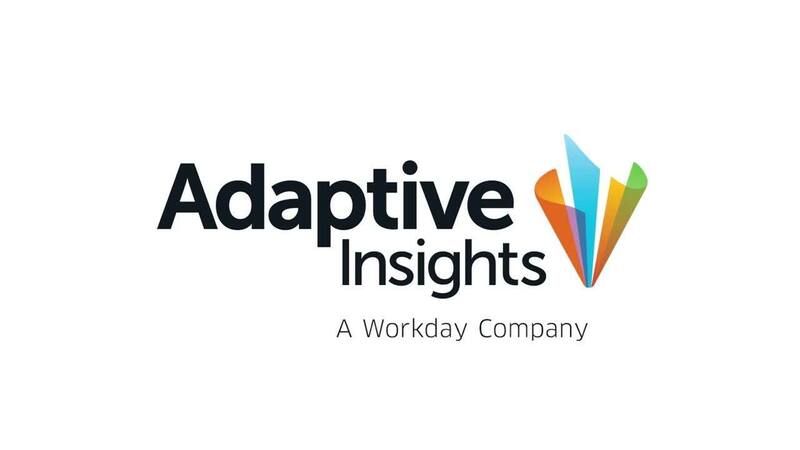 More than 3,000 companies in 85 countries use Adaptive Insights. These range from midsized companies and nonprofits to large corporations, including AAA, Boston Scientific, CORT, Epcor, Konica Minolta, NetSuite, Philips, P.F. Chang’s, and Siemens. Adaptive Insights is headquartered in Palo Alto, Calif. For more information, visit www.AdaptiveInsights.com, the Adaptive Insights Blog, and follow Adaptive Insights on LinkedIn, Twitter, Facebook, and YouTube.